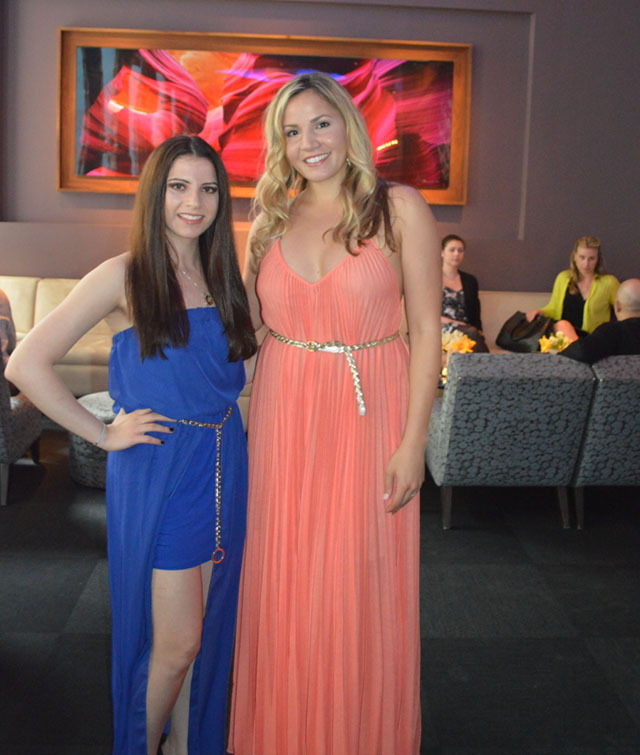 I went to a fun Summer cocktail soiree at the chic 48 Lounge located on 1221 Avenue of the Americas in NYC. I couldn't resist the urge to wear my brand new royal blue dress which was a half mini half sheer long gown. I was thinking of saving this piece to wear to Mercedes-Benz Fashion Week in September but I'm definitely happy that I wore it that night. The event featured a selection of yummy cocktails which you could pick off the menu below. I also had a chance to meet Carrie and Brian Packin who are the owners of 48 Lounge. They were really nice and told me more about the lounge. as mine was also a bright color that was matched with a gold belt. After meeting the owners I had a chance to sit down on a comfy couch, drink a little champagne and just relax after a long day in NYC. I've been to a lot of venues in town but this one is definitely one of favorites as it offered both comfort and an intimate atmosphere to catch up with friends. I had a great time that evening at 48 Lounge and look forward to coming back again this Summer! For more information about 48 Lounge check out www.48nyc.com.